Bash Shell Scripting is an important everyday requirement for system administrators that need to automate repeated tasks.This course does not assume prior knowledge of the shell or even a text editor used in the shell. For people familiar with these topics, this course forms a good initial revision. However, not everything in the course is at a basic understanding level. 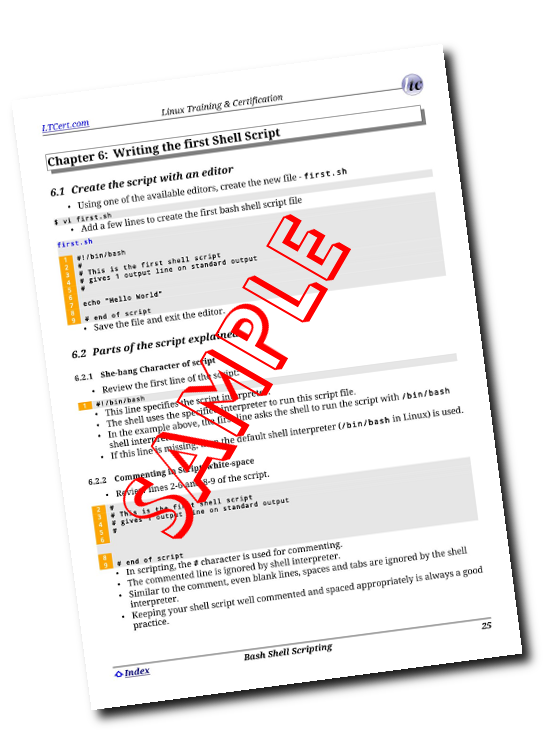 The course even covers topics such as traps to help scripts become a little intelligent when abruptly signalled to exit.